As we all know getting approved for Adsense can be very difficult and thus discouraging as many people always get some dissaproval messages, such as the common "insufficient content" mail. Are you among this category finding it difficult getting approved for your Country Adsense Account? Try US or UK Google Adsense. It’s very simple to get approved. 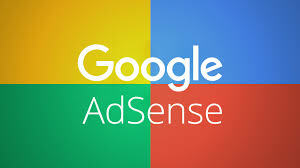 Today, I share with you how to apply for US and UK Google Adsense account which I came accross from a problogger's site. Follow the below Steps carefully and you would be smiling in no time.. The procedures below should be taken in order to get your blog approved for US and UK Google AdSense. immediately use it to apply for Google AdSense… wait for at-least a month. Also make sure no page is left broken! 1. Visit google adsense application page and click on Signup. Make sure you use an email you have not used to apply before. 2. From the next page, enter your blog or website URL starting with www e.g. www.yourblogname.com, & Select Language (English). 3. You would be taken to the next step which is where you will fill your details such as the Country, Address, Phone number etc. 4. Select Country (United Kingdom or United States) this depends on the country you want to apply for. I would recommend United States for a Start. Click on the drop down and Select United States or United Kingdom and enter your address. Now in the field for address, city, zip code etc. follow the below. You are going to use the service of shoptomydoor (Not for US Adsense Verification this time) but to get a US or UK Address. Shoptomydoor is a website that offers service of shopping from the United States, United Kingdom or China. For Bloggers it is mainly used for verification of PIN for UK and US Adsense but Nay! that’s not what we need at the moment, what we need is to get a US or UK Address from them (Free). Shoptomydoor gives you a US or UK Address when you signup with them. Follow the below steps to get a US or UK address from shoptomydoor. Fill in the necessary details and signup. Step 2: You will be taken to your dashboard and now you have your personal US Address shown, Click on the drop down to see your Uk Address too. The last number to the right (77031) is your Zip Code to use. In field for city, you can input Houston as seen above, and space for State Input (Texas). In the field for phone number for US, you don’t need to worry just input Nigerian Code e.g. 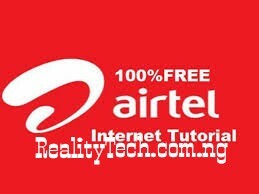 +234 8012345678 and finally click Signup! You will be taken directly to your Adsense dashboard where you will be given some codes to put in the <head> tag of your blog. That is the code Google would use to review and fully approve your blog. You are going to parse the code for blogspot users. Just Copy that code from AdSense, go to http://web2generators.com and parse the code. If you have successfully parsed and pasted the Adsense Code then you are done. Now go back to AdSense and check “I have pasted the code”. and click DONE. Finally, Wait for the next message from Google AdSense (takes approximately 24hours). But incase you don’t get reply from Adsense within 24hours, do not lose hope wait and you would get a reply from them. This is how to Apply for a US/UK Adsense Account. Did you face any problem with any of the steps? Let me know in the comment box below.